On Saturday 3 June Chris Sutcliffe, a Calderdale countryside officer, will be organising Half Term Nature Activities for Children in St. Matthew’s Churchyard (opposite The Sun Inn) from 1:15 pm as part of our Celebration Event. All welcome. The Mayor & Mayoress of Calderdale are also visiting on that afternoon. You are always very welcome to come and wander around St. Matthew’s Churchyard, Lightcliffe which has been restored over the past few years. 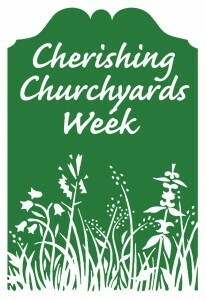 If you can’t visit the churchyard that week, then visit www.lightcliffechurchyard.org.uk and take a virtual tour or trace a family headstone. 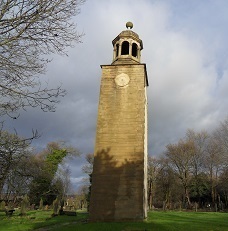 This entry was posted in Get Involved / Have Your Say, Hipperholme & Lightcliffe, June and tagged environment, Event, Get Involved, Lightcliffe Graveyard. Ian Philp, Chairman of the Friends of St Matthew’s Churchyard (Hipperholme & Lightcliffe) visited the Men United at Ovenden Park Group on Wednesday 14 September to give a talk and presentation about the continued work carried out by himself and the Friends of Group who volunteer in order to restore the graveyard at Lightcliffe Churchyard to its original state. The group was first set up in 2012 with the aims of ensuring the churchyard is cared for in a way which makes it a place in keeping with the function of burials, with an atmosphere of respect and commemoration for the departed, a pleasant, attractive place for all visitors, a haven for wildlife and a place that values and protects local heritage. After 3 years of hard work there are now records for 11,279 burials on the site which can be searched through at lightcliffechurchyard.org.uk where you can also keep up to date with the latest news from the Friends of St Matthew’s Churchyard or make a donation to support their continued work if you wish to do so. 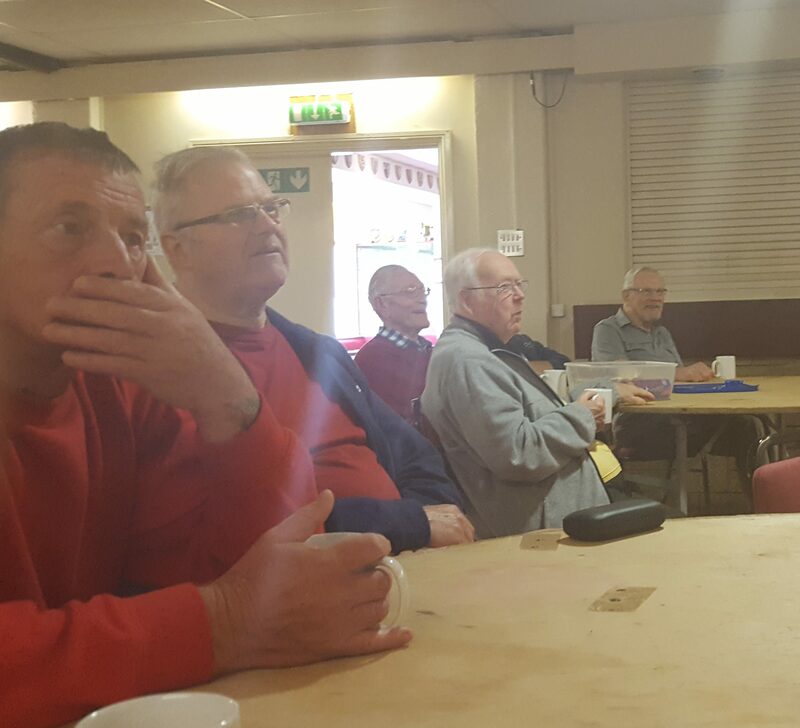 The Men United Group were intrigued to hear about some of the people of interest buried there, particularly the chest tomb of Mary Guest whose son Lieutenant General Joshua Guest 1660 – 1747 is buried in Westminster Abbey where a monument was erected to him by his widow Sarah who is also buried near her husband in the Abbey. 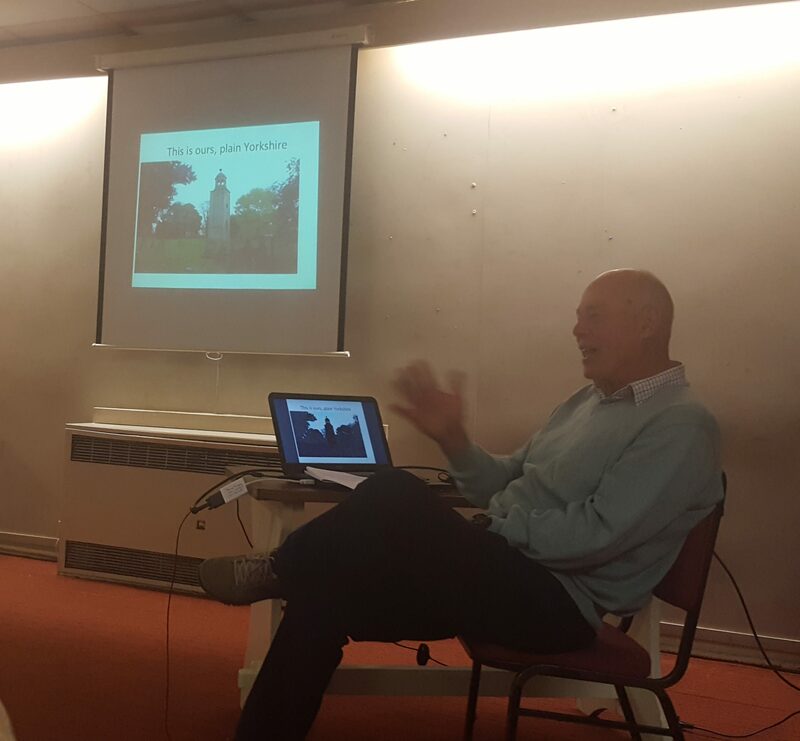 Men United would like to thank Ian Philp for visiting to give such a captivating talk and the group are now planning on visiting the graveyard at Lightcliffe Churchyard to have a look around and hear some more of the history surrounding the grounds. This entry was posted in Get Involved / Have Your Say, Hipperholme & Lightcliffe, Sep and tagged calderdale, Friends of St Matthew's Churchyard, Get Involved, Halifax, Halifax RUFC, Hipperholme, Hipperholme & Lightcliffe, Lightcliffe Graveyard, Men United, News, Ovenden, Ovenden Park, Restoration, September, St Matthews Churchyard.